Kat grew up in California and followed her love for travel and adventure all over the world. She received a Bachelor’s degree in International Development with a minor in Conservation and Resource Studies from UC Berkeley where her love for agroecology blossomed digging in the soil of community gardens. She then received her Masters in International Environmental Policy from The Middlebury Institute of International Studies. 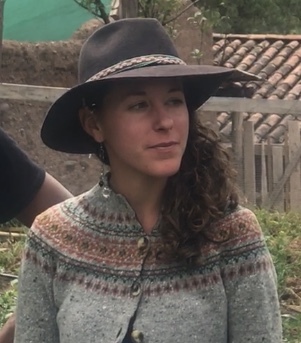 Following her passion for regenerative farming and food systems, she has worked as a farmer, farm educator, and fermentation enthusiast in Peru, California and Denmark. She is fascinated by the human element of food systems and how people can continue to farm innovatively with respect for each other and the land. When not working you can find Kat hiking in the majestic Andes or surfing in the ocean.